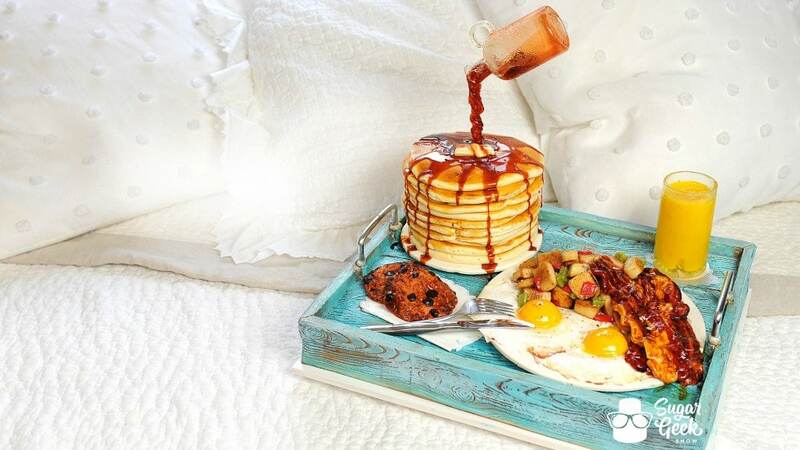 What could possibly be better than breakfast in bed? 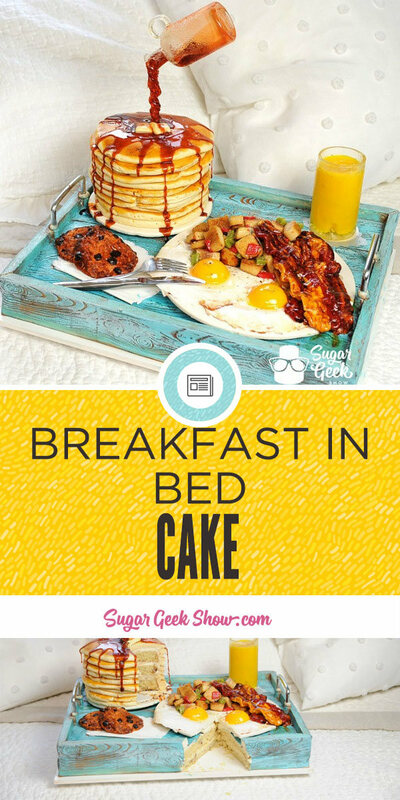 Breakfast in bed that’s actually cake, that’s what. When I tell you that what you’re looking at is in fact entirely edible I mean it is in fact ENTIRELY edible. I know what you’re thinking. 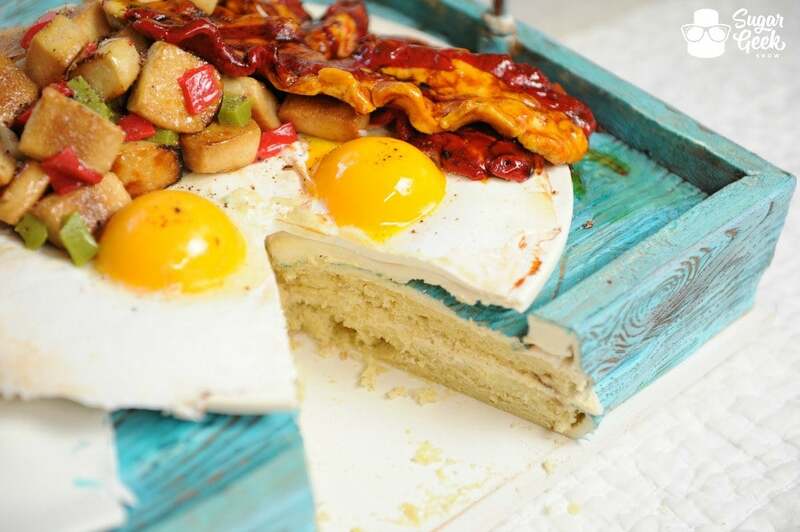 Of course it’s edible, it’s breakfast! 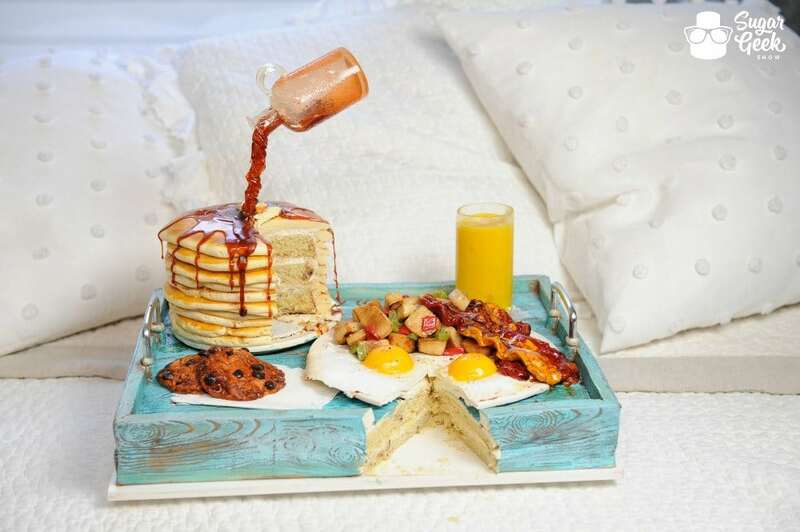 No, I mean nothing that you are looking at is what is seems, it is all re-created from sugar, right down to the plate, glass and yes even that shabby chic wooden breakfast tray. 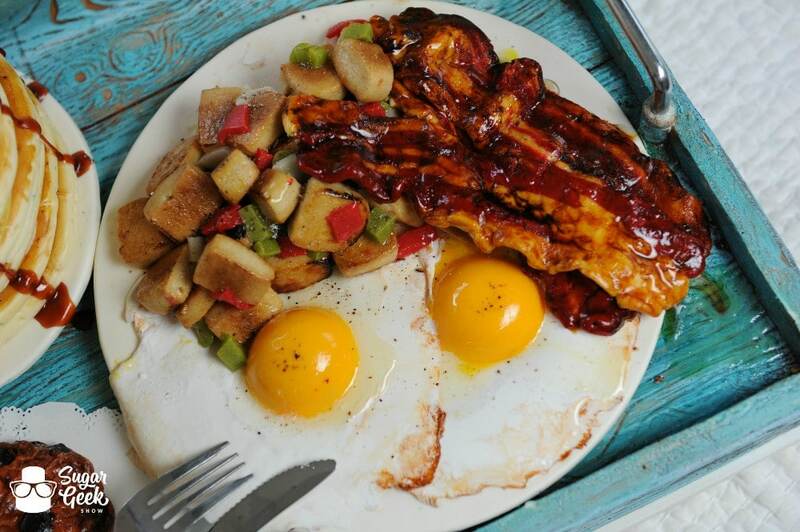 So when you bite into this delightful creation your taste buds are going to be uber confused. I have to tell you that when I first saw this cake I was going back and forth trying to decide if the tray was part of the cake or not, I genuinely was faked out. I could tell the handles were real so thought the tray must be too, then I noticed the cake board at the very bottom and that is truly the only thing that gave it away. Bravo Liz, bravo. 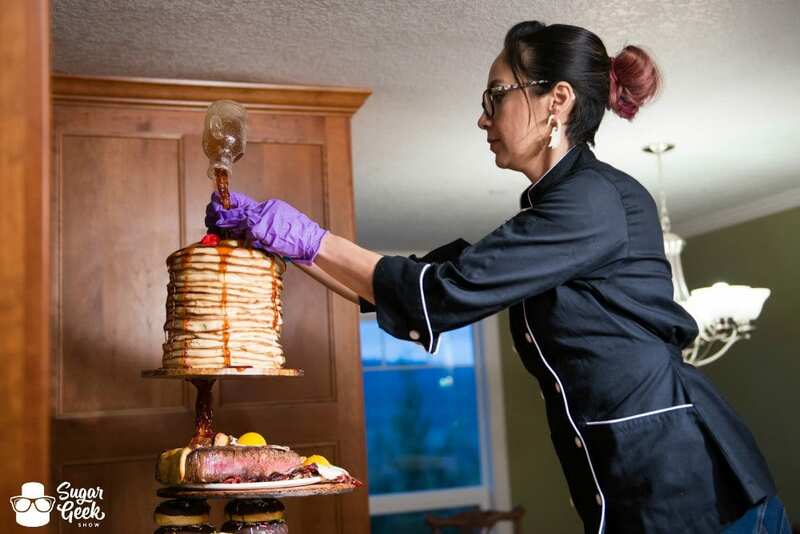 Pancake cakes have been popular for quite some time now and gravity defying cakes have always been popular. Put them together and you have a shoe in for success. 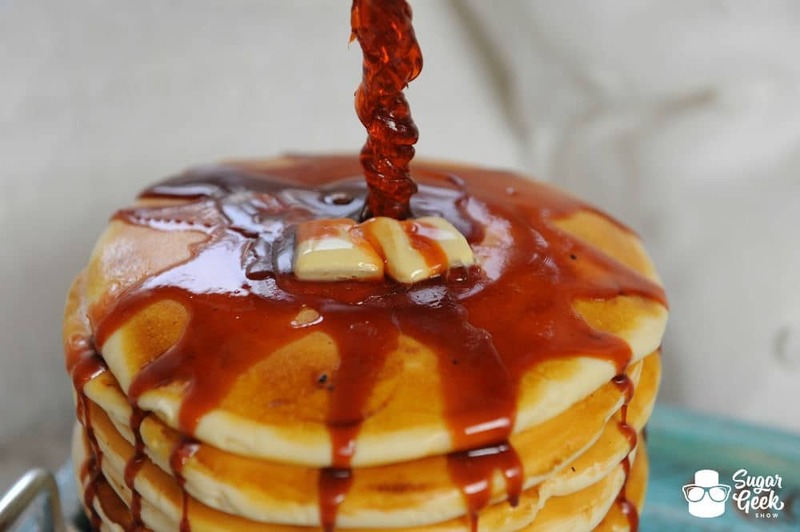 In this tutorial you will learn how to get incredibly realistic details on your pancakes including that bubbly cooked texture, golden brown color and slightly melted “butter”. 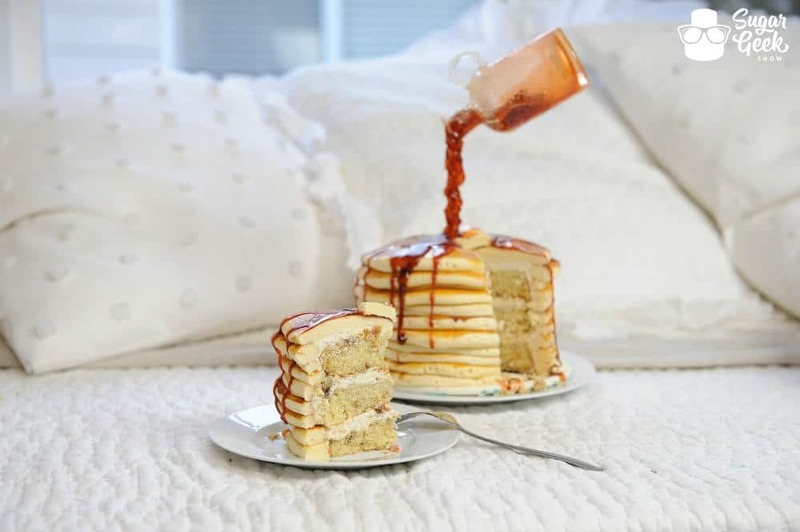 The pancake cake it self is indeed a Pancake Cake Recipe that you’ll definitely want to check out. This little ensemble right here is just incredible in itself. NONE of what is on that plate is savory. When you dive into this plate you will be tasting gummy bears, cookies and just all out sugar. Did I mention you can even eat the plate? 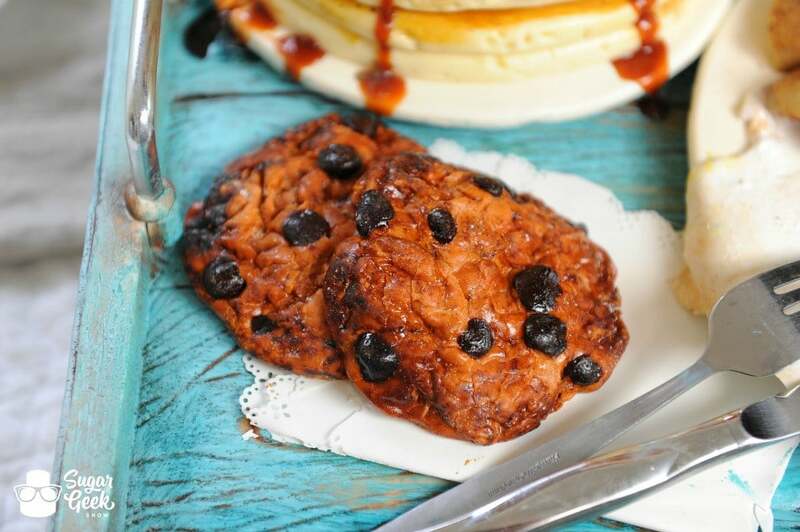 These lovely little home-baked Chocolate Chip Cookies can be found on the Toxic Sweet’s Shop YouTube Channel from Joyce Marcellus, and no I am not talking about a chocolate chip cookie recipe. Joyce teaches you how to create a realistic cookie out of fondant. 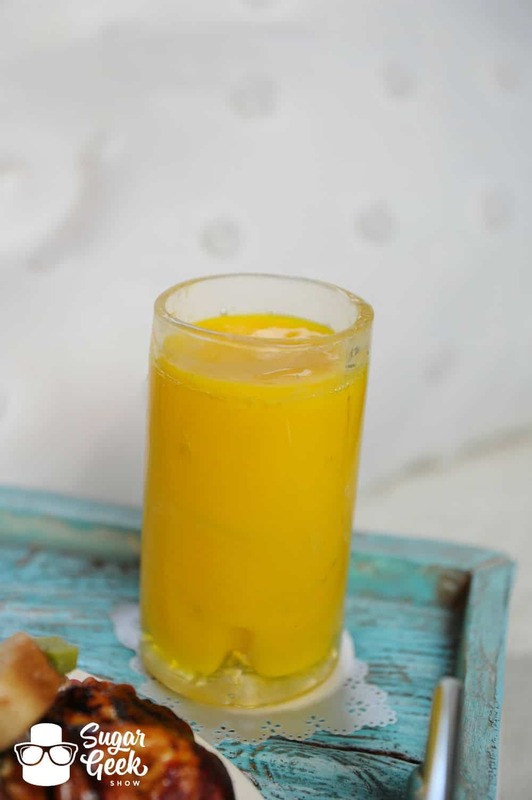 This incredible edible glass of “OJ” is much simpler than you’d think to create and I mean how impressive?! Your clients will be blown away. And there it is, the proof that this tray is in fact cake and not aged old wood. Plays tricks on your mind doesn’t it? This cake is absolutely fabulous and there are so many techniques in this tutorial you do not want to miss believe me. 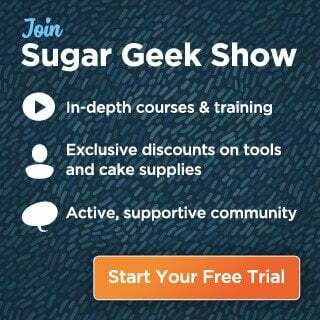 This bad boy is reserved for Premium and Elite Members of the Sugar Geek Show. Sign up today if you aren’t a member already! We have 6 month and yearly packages available now that will save you money! Many of the techniques found in this tutorial were featured on the brand new Food Network Show Ridiculous Cakes! 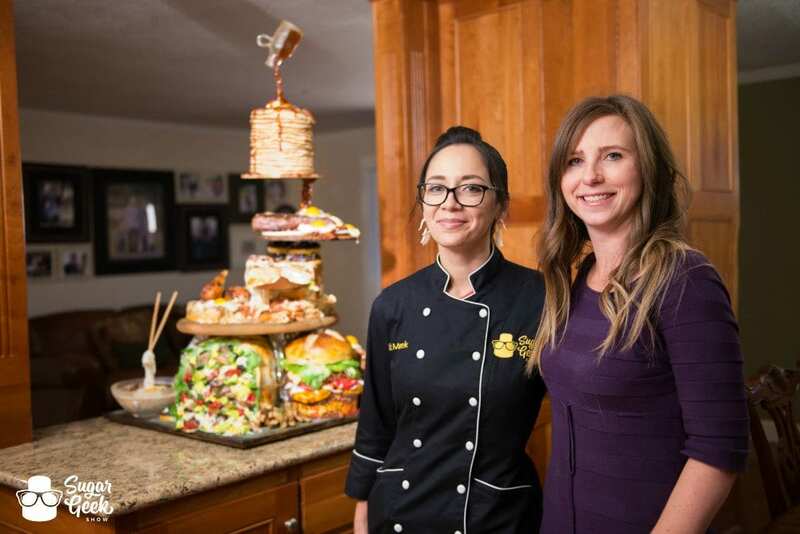 Check out the Food Network site or check your local listings to catch Liz on TV showing off her incredible realistic food cake skills. Huge thanks to the sponsors of this cake, Renshaw Fondant, Simi Cakes Isomalt and Icing Images Decogel. These amazing effects would not be possible without your incredible products!